The ECW, however, is a completely different kettle of fish. Random uniforms, a mix of reds in a single red coated regiment, different hats, their own trousers (as opposed to standard issue). So a wide range of figures, poses, tweaked to give a ‘group of individuals’ look that I wanted. Pikes: pikes are a big issue. 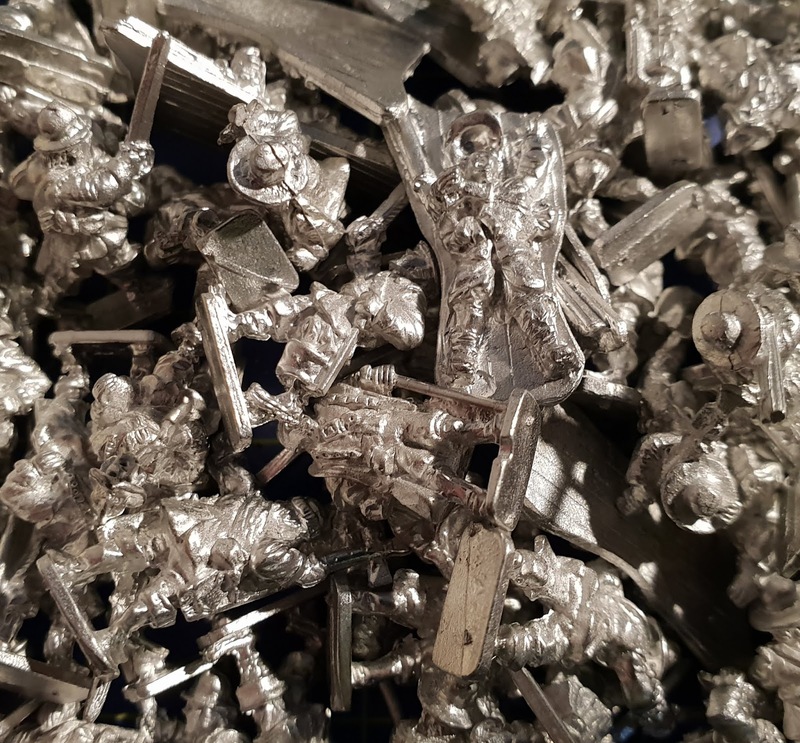 Have a look on fleabay, search ‘ECW infantry’ to see some beautifully painted miniatures (and some not so beautiful ones too) armed with what looks like over cooked spaghetti. Separate pikes, most definitely a must have. Vertical pikes too, anything else looks good but is a bugger to store. Range: I like my figures to all have a unified ‘look’, so by preference I would rather buy from one manufacturer. And a comprehensive range, goes on the requirements list. Size: now I’m not the tallest person in the world, 5’10” on a good day with the wind behind me. That means 5’10” to the top of my head, not 5’10” to my eye level. Being a fan of 15mm figures I’d like figures that closely measure up to 15mm, not 18mm to their eyes. I wanted some more images of what they could look like: Google images provided some inspiration: Fat Wally a talented painter, provided more inspiration via his own website and also via Wessex Wargames Soc. So that was me sold. Peter Pig figures it was. 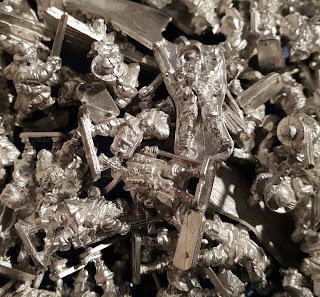 Just needed some suitable wire pikes... Donnington Miniatures to the rescue! Donnington's pikes (pack EQ10) come with a leaf spear point at one end (pretty lethal); I decided I would use them. Bit nervous about how they would come out, thinking I could always cut the spear points off if I didn't like them. Only when painted up could I tell if they would work: I really like them, think they work well. I've cut the pikes down to 52mm, which is marginally longer than the three times the height of a man which seems to be the consensus of how long a pike was. Initially this was so I could cut the spear point off if I didn't like it, but now I feel that the slightly exaggerated pikes give the feel I wanted. Postscript: I must say that the sculpting of the Peter Pig figures has really been done with the painter in mind. Detail is mostly crisp and well defined, and the style really lends itself to figures being washed or dipped. I'm not a particularly good miniatures painter, but even I can get half decent results by carefully colouring in to the lines and using a wash.